Press Release, Moscow, 12/12/2017: General Director of the RILOS company Arnaud Trousset, editor of Geomatrix, an online SaaS predictive analytics solution for the retail industry, and proud member of #frenchtechmoscow committee and #Skolkovo, takes part in Digital Summit. 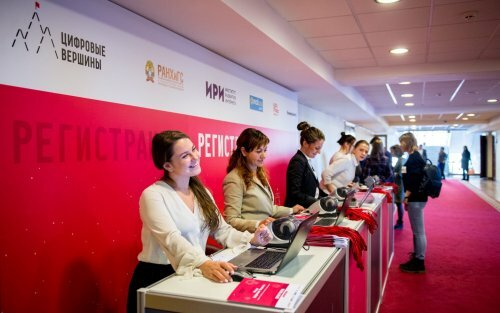 Geomatrix is nominated among 4 companies in the category “Open Data” and Geomatrix was included in the IT database of Solutions of the RANEPA University. Verchina Summit is the first national IT award that encourages the best domestic solutions for increasing efficiency. The category of business applications and services is one of the most competitive segments of the global IT market. At the same time, a number of Russian developments successfully compete with Western solutions both in terms of product and in terms of technological expertise. However, with the popularization of Russian products on the domestic market, there are often difficulties. A premium was established to help the best domestic developers tell consumers about their advantages and benefits, which they can bring to business and the state. Geomatrix is a SaaS solution available in 67 countries, allowing retailers to open only profitable points, to increase and protect traffic in already open stores, all instantly and independently, without the help of GIS specialists.